Did you know that the pet industry is a multi-billion dollar a year money maker? 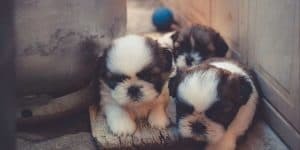 If you are an animal lover and can’t get enough of your furry friends you might be surprised that they could earn money as well. Then you could turn your playtime into earning time. 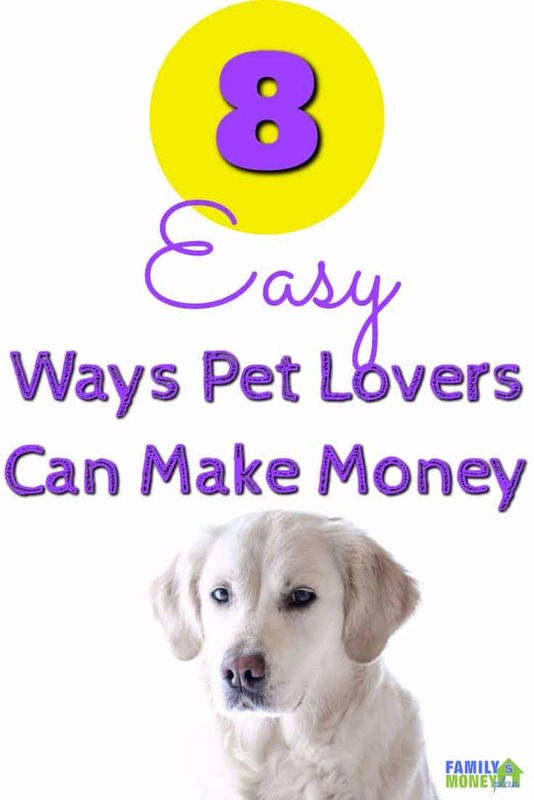 Here are some ways to make money with pets. If you love dogs and love walking this is probably the greatest part time gig for you. 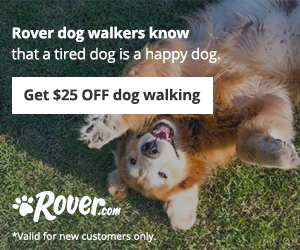 Pet sitters can make a good chunk of money by walking pets. This one tops my list because you get the added benefit of walking a lot. It’s like getting paid to exercise. 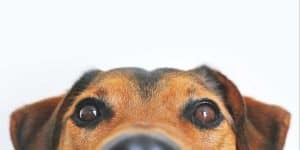 There are tons of people that want to give their pets the love and attention that they can’t give when they are at work, or away on a trip. 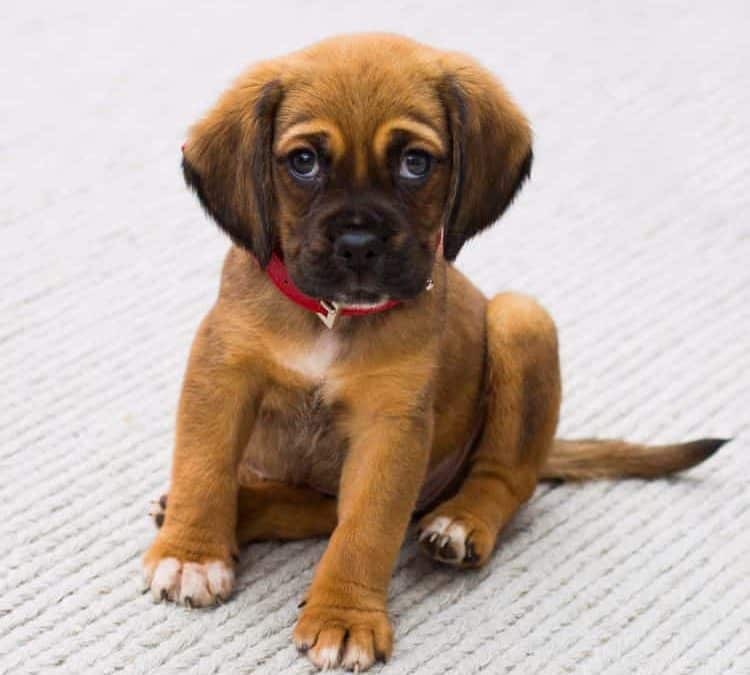 By becoming a surrogate for their owners you can start a pet sitting business and give these pets the love that they need until their masters come home. Consider that some people pay $100 a night for pet sitting services you could easily start making some nice money this way. Click here to visit Six-Figure Pet Sitting Academy.com. If you are talented and love to give your dog that special look, why not start your own mobile pet grooming service? You can go around to other people’s houses and give their pets that special look they have always wanted. If dogs aren’t your thing, raising chickens might be a way to make some extra money. Chickens cost very little to buy and can produce an egg a day. With organics and farm raised being a big thing this can be a good way to make extra money. Check out how to start a successful egg business as a hobby. If you are thinking a higher-end clientele you can make custom meals for pets. Many people are willing to pay a premium for hand made pet food. For more you can check out this guide on making custom dog treats. The family dog has definitely gotten an upgrade in the past couple of decades. People are willing to dress their pets up in outfits and it’s an growing industry. 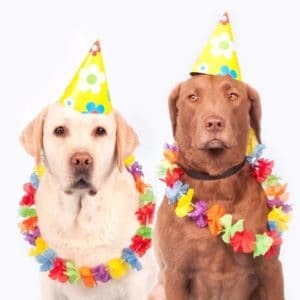 You could start to create your own pet attire and sell it online in places like Amazon. If you love to create things, building pet furniture might be a great way to make some extra money. People are always looking for unique things for their pets and it’s a great way to make some extra money. 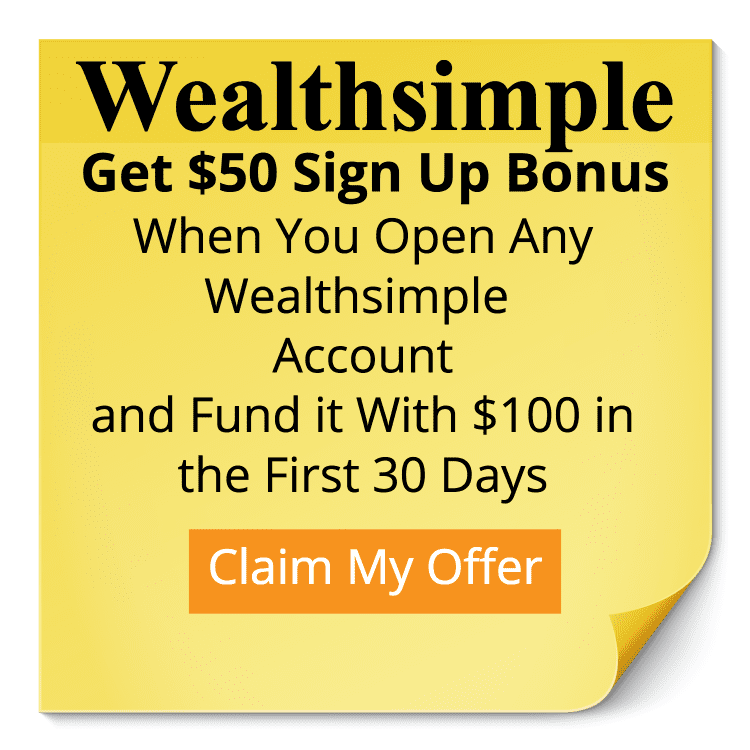 If you want to know about how to start making money by building dog houses you can check out this post here. One thing that I see people doing more of is animal blogs. Pet owners are always on the look out for new things for their pets. It’s also an cool way to share the latest news on your favourite furry animal. Plus starting a blog is pretty simple to get up and going. If you are looking to start a pet blog you can sign up for our free 5 day email series on starting a blog. 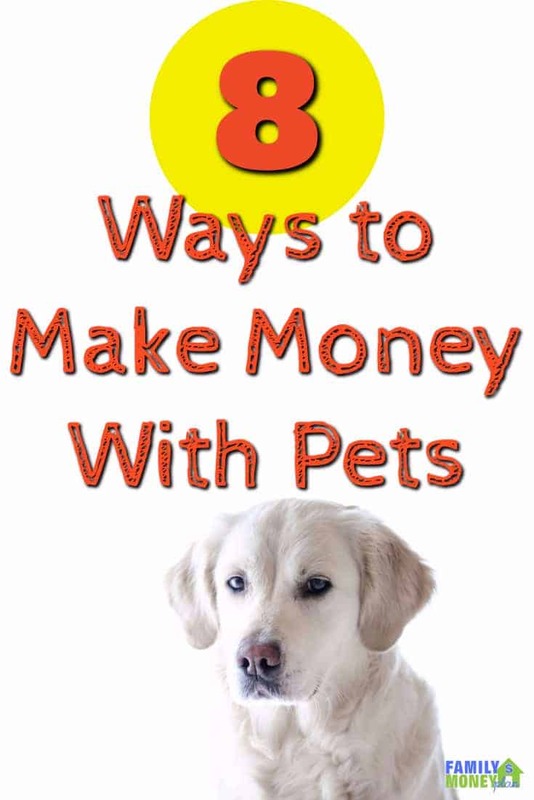 Can you think of any other ways to make extra money with your pets? 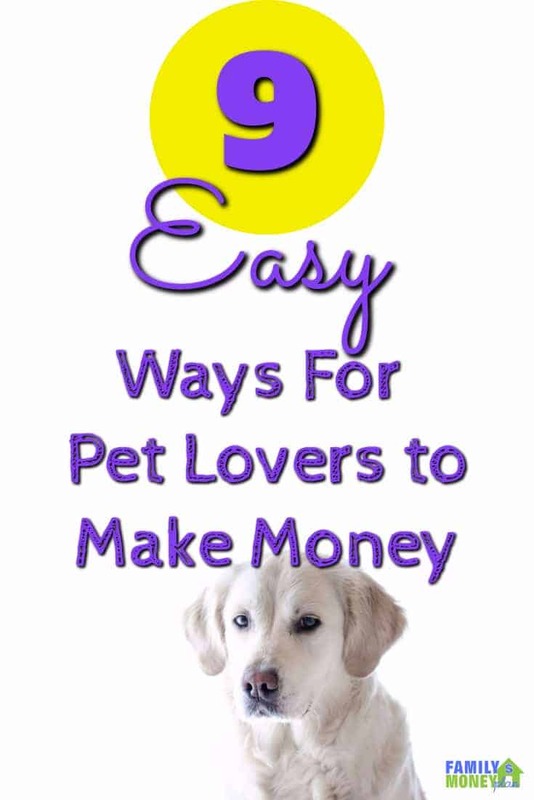 Let me know in the comments below so others can find more ways to make money with their pets. Find this helpful? Share it so others can find it! Hmm dog pooper scooping and walking sounds like a good summer job for my kiddos!